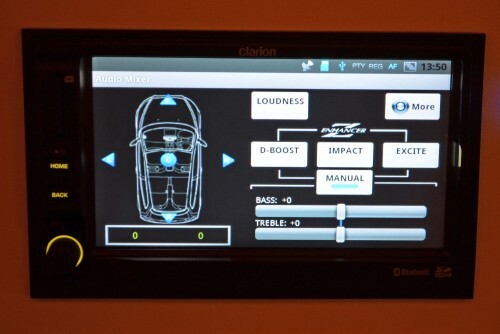 Clarion, the ICE specialist, gave its new Mirage car stereo a world debut in Penang this afternoon. The Mirage’s claim to fame is that it’s the first Android-based full automotive grade car stereo in the market. ICE systems that utilise Google’s Android smartphone platform are in existence, but the key word here is full automotive grade, or OEM standard. Japan’s Clarion is no stranger to the car stereo business, and is one of the most recognisable brands around, but the company now wants to take the tech lead with the Mirage, which Clarion Malaysia MD T.K. Tan calls “smart car stereo”, an equivalent to today’s smartphones. “Anyone who uses an Android cell phone knows that it is much more than just a device to make and receive calls. It is a smart phone. 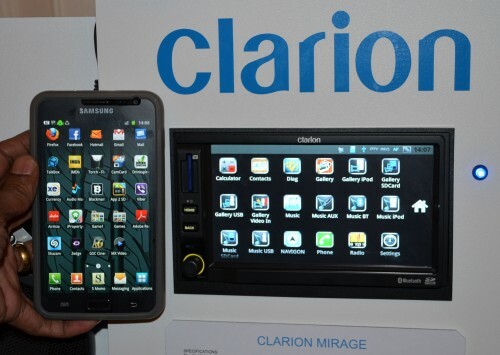 Similarly, the Clarion Mirage is more than just your typical car stereo, it’s a smart car stereo that is upgradeable,” he said. Conceived and developed at Clarion Malaysia in Penang, the Mirage is equipped with a 6.5-inch LCD hooked up to Android’s touch-screen graphical user interface (GUI). I don’t use an Android handset, but according to a Samsung Galaxy Note user, the Mirage’s GUI is instantly familiar. 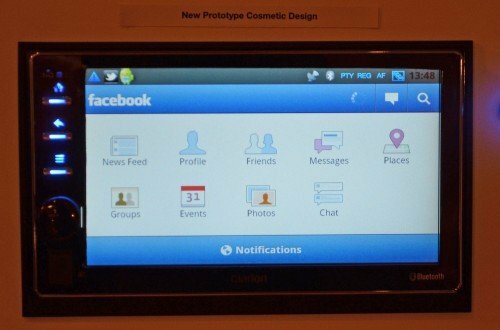 With Android comes apps, and Clarion had one demo unit with Facebook, Twitter and even Angry Birds installed. There are of course many more apps from the Play Store. This means that the possibilities provided by the Mirage are huge. 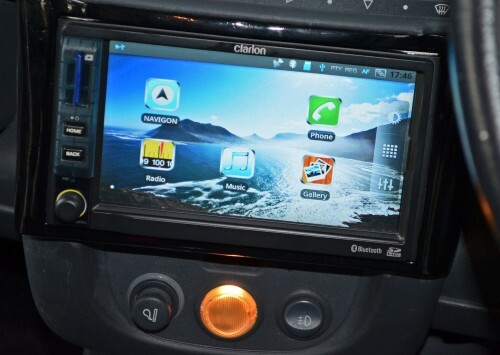 Clarion’s latest uses the Android 2.2 Froyo, but customised for a car platform. The customisation was aided by Wind River, a wholly-owned division of Intel, which also provided software integration. But let’s not forget that this is a car stereo, so besides the Android bits, the Mirage is an AVN style double-DIN player that accepts SD cards, USB devices and Bluetooth connect, although it doesn’t have a disc slot. Clarion believes that it’s looking forward, and discs are yesterday’s media. Besides, the head unit will be more reliable and longer lasting without a disc mechanism, the R&D guys explained. Android it may be, but the Mirage is iOS friendly – plug in your iPhone or iPod to play your portable music. The navigation engine is provided by Navigon AG. The Garmin company also helped Clarion compile maps of Malaysia, Thailand and Singapore into one big seamless map, which they say is the first of its kind. Malaysian streets will be provided by Navi & Map while maps of our northern neighbour is courtesy of ESRI. Clarion’s R&D head tells us that Toyota in Thailand uses ESRI as well, so you’re in safe hands when wandering in Siam. 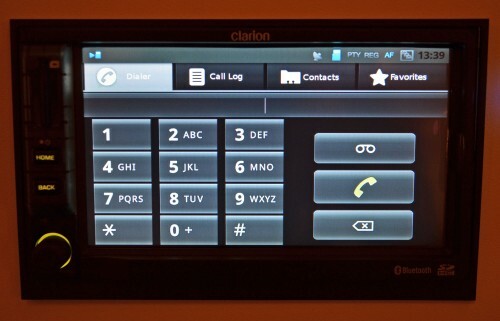 Other features include radio with RDS and VAPS 3D, Clarion’s proprietary digital sound processing system. Besides audio and video, the Mirage can also display still images in a slideshow. For now, Clarion is marketing the Mirage to car manufacturers and assemblers. “In order to qualify the Mirage as a full automotive grade product, we have had to design, develop and test it to meet international automotive standards for quality and safety,” Tan said. The Clarion boss revealed some names they’re talking to, and the list includes Proton (an existing Clarion customer), Perodua, GM Thailand, Nissan Thailand and “Nissan Malaysia” (he meant Edaran Tan Chong, we presume) so expect to see the Mirage in a future product. Of course, each big customer can customise and pick the features they want in their cars. Expansion options include a vehicle telematics display, reverse camera, steering wheel buttons, additional rear LCD screens and a DVD player or changer. Retail sales will start in the fourth quarter of this year. No ballpark price was given, just that it will be “similar in price to today’s AVNs”. Doesn’t help much, we know, but this one looks like it could be worth the wait for those in the market. do clarion plan to release the win7 premium version? i love my mouse can click click clik in the car!! and joystick support and logitech steering integration for 3d racing game!! nice! Hope there will be a aftermarket version that u can buy and installl it by yourself in your car..
“Sharing is caring” bro, pls post more pics ya!! I wonder if this is compatible with my Saga’s audio steering controls? Awesome!! I mean those girls…Clarion+Android you make my heart beating so fast. Muehehehe!! I know what you mean… I’ll go for Pioneer anytime. But you can read it from what they said; targeting car manufacturers. Sounds like el-cheapo to me. android 2.2 ? kekekeke.. why not ics or at least 2.3? cant help but look like a cheap china made tablet. the middle model nice though! The girls are really hots!! Nice! If only it can auto navigate your car from the basement parking to pick you up in lobby…….I’m not kidding, it is possible, right? 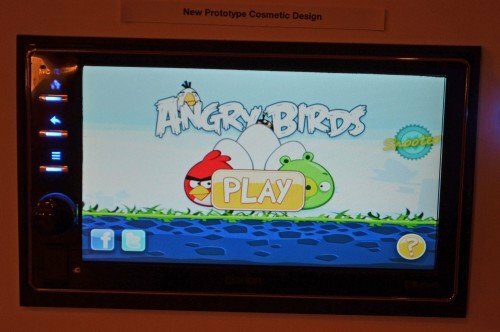 angrybird and face book on dashboard? This may be out of context.. But the chicks sure look good..
yeah i can’t believe how good each one of them looks. never tired looking at those photos. Then install Waze – the FREE Social GPS & Live Traffic Update. It would be awesome!! can play all kind of videos , perhap can online in the car watch utube n all ..
Let’s see how it look like under the hot sun. Coz its gonna blur out. That’s why you see some have the display so small and/or recessed deep. The housing around the screen helps to give it some shade. This would be a quick fix against Ford’s system. But eventually people would want their own tablet to be docking with an amp. Its not really nice, but eventually someone will come up with it. That middle chick is smoking hot. Danny, I want her contact number too. FB pun jadilah. Hahahaha…..
Btw, 2.2 is ok…. In marketing strategy, you cant reveal you potential unless you have competitor. Dayum that chick on the left is hot! If you’re reading this darling, thank ur momma! Nevermind the Clarion, look at the babe!!! hahaha nie kalau Anwar nampak dolls camni, maunya diterkam 3 tiga sekaligus !!! Hallo bro….ini blog pasal kereta la..bukan pasal politik…kalo nak kutuk2 org pegi cari blog lain ok…..
yes, bulls eye, left one indeed. ok, i like the left more than the middle.but the right one also can..
technology improving everyday, maybe in future u can connect to the phone and record your driving behaviour and can do some analysist. And maybe, after have save your driving mode, u can plug to other car and set the car using your driving mode..
just an idea which i think someone have make it real. LOL, discussion on car accessories become discussion on babes. Nice chicks though, just wonder how they look like without the ICI paint. Not really into electronic gizmos in cars but stop the press who’s that?